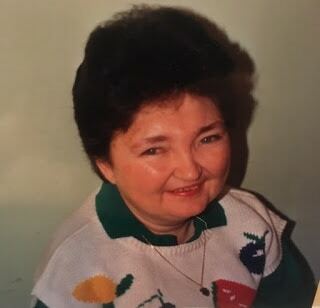 Our sister, Eleanor Louise Janney, passed away on Monday, December 3, 2018. She was a lifelong resident of the Check community of Floyd County. Louise is preceded in death by her father and mother, Charles Raye Janney and Helen Elizabeth Janney. She is survived by two sisters, Esther Raye Janney and Barbara Ann Goodwin; niece, Julie Wilburn; nephew, Chip Goodwin; great-niece, Bailey Wilburn; great-nephew, Morgan Wilburn. She is also survived by a huge loving clan of relatives from the McNiel and Janney families. The family would like to extend their thanks to her loving caregivers including, Pam, Bonnie, Tina, and Angie. They would also like to thank her special friend and therapist for 25 years, Susan. Following a private graveside service, the family will receive friends at a memorial visitation at her home, located at 6843 Floyd Hwy N, Copper Hill from 4 p.m. – 8 p.m. on Thursday, December 6, 2018. Always a smile and those bright blue eyes, Louise was a light in all the lives she touched. She was a proud Check High School graduate 3rd in her class, cheerleader and basketball player. A lifelong fan of country music, Louise always was ready to tap her toe and snap her fingers. We were so fortunate to have her in our family and community for 79 years. We are at peace knowing she is now reunited with her mother and father. Memorial contributions can be made to Floyd County EMS, 120 West Oxford St, Floyd, VA 24091.